“Writer” was not always – is not always – a comfortable identity either, though. It took me a long time to learn how to say it without cringing, to stop waiting for someone to say, “sure, but be honest: you’re not a real writer.” On a good day, what I feel about my identity as a writer is that it’s mine, and therefore it’s okay for it to look different to someone else’s. Perhaps geography is the same; it moulds itself to your shape. My cultural geography is not your cultural geography, though there may be overlaps. So let’s say that in one sense, I’m still learning how to be a cultural geographer. And part of the process of learning this involves an appropriation of the label. When I first fell into geography I was giddy: I felt like I’d finally found something I needed but didn’t know I’d been looking for. I then spent my first few shaky months as a PhD student telling people how nervous I’d been, coming from an academic background in Other Subjects (politics, then creative writing), and so often these people would say, in turn, that they had also been worried about this, that they had first studied history, or literature, or international relations, or theatre, or whatever. Interdisciplinarity seems to be at the heart of cultural geography, which is one of the things I love most about it: it’s an open field. It comes alive as a discipline because of the people who do it and the knowledge (and baggage) they bring with them. Actually, geography is the one thing I’ve always wanted to write about and think about, even before I knew it had a name. I grew up on a ranch on the coast of California. The land was rough and uncooperative. 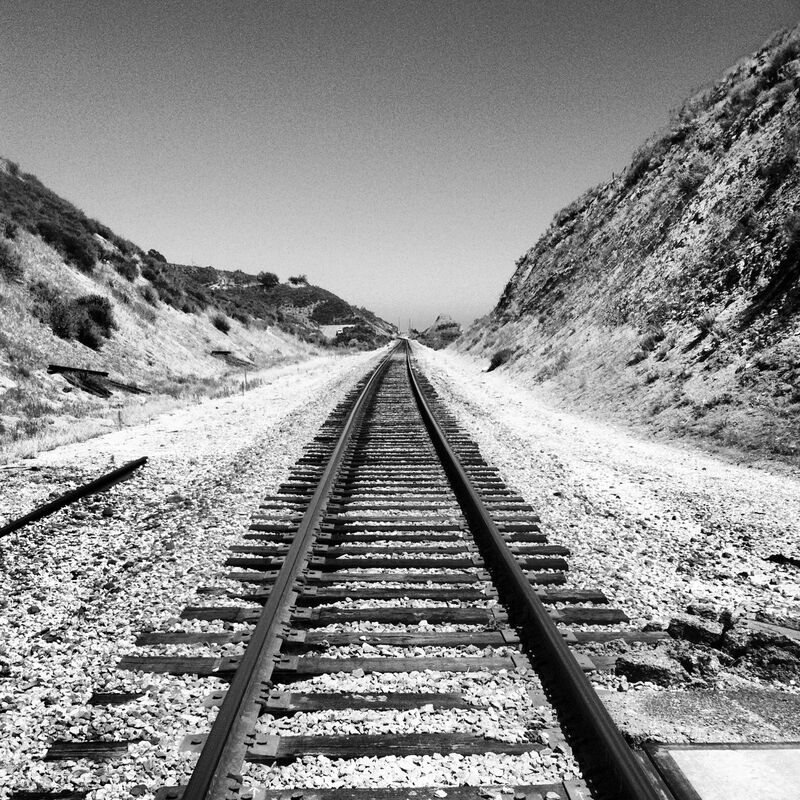 One winter the road, submitting to the pressures of a particularly heavy rainfall, slid away into the sea; we walked out to Highway 101 on the railroad tracks, across a tall, spindly bridge, hoping no trains came. We lived in fear of summer wildfires, which were presaged by a particular kind of wind that put everyone on edge and could turn beloved golden hills into a blackened Martian wasteland in the blink of an eye. We coexisted with coyotes, mountain lions, bats, mice, rattlesnakes. Everything had a life of its own. It was a difficult place, but it was also beautiful, hypnotic – at times almost unbearably so. How can anyone live here? How can anyone leave here? I developed a sense of place rooted not in a town or a city, as so many of my peers had, but in isolation and details: the rock face that our house had been built into, the smell of orange blossoms and dirt, the swells and tides of the sea, the subtle seasonal changes in light. The affective qualities of these things were intensified during my teenage years, when I actively resented the ranch: I hated being so remote, so weird, though I knew that the place mattered to me. I thought my friendships were weaker because I couldn’t wander out into the suburban night and get casually drunk with them, that I would never learn how to be comfortable around people my own age because every extracurricular social encounter had to be arranged in advance. But I also remember thinking, around this time, that the thing that most defined me, the thing that was most important to me, apart from basic considerations like love and shelter and sustenance, was a relationship with place. I didn’t know how I could think about anything else without first considering where I was and where I’d been. So you could say that in this everyday, bordering-on-selfish sense, I have, in fact, been a geographer for a long time. These things – wildfires, washed-out roads, train tracks, orange groves, kelp beds, afternoon light – are cultural geography to me. So are my memories of them, which are often imperfect, sometimes invented, especially now that I live about 5,000 miles away. This is, perhaps, where I get the impression that geography is often best done from the perspective of an “I”: I am part of the geography that I write. I’ve written recently about the difficulty of negotiating multiple, sometimes overlapping but often quite disparate selves – academic-self, freelance-self, writer-self, person-in-the-world-self. I’m coming to believe that my geographer-self is the thing they all have in common. The discipline of (doing) geography has taught me, too, to be a better writer, a better reader, a better participant in my own life and the lives of others. Place, broadly understood, has remained important to me; it’s where my “practice” as an academic geographer is rooted. But I’m also starting to see other things through the lens of geography. The way I listen to music informs my actions as a cultural geographer, and vice versa; sitting in a café, peeling cracked plaster from our bedroom walls, walking to the pool after an unproductive day, swimming laps – these are all ways of “doing” geography. They are certainly all ripe for writing about from the perspective of the cultural geographer. Sometimes just to write is a geographical act. Sometimes doing one activity we enjoy opens doors to the world. Lovely post. Very meaningful. I’ve just started out on the degree – it feels completely right but I still don’t know where i’m going – all I know is that it’s opened me up to the all of the right opportunities. It’s a confusion only a geographer could understand…:) And I love the blog name too! What beautiful writing with an awesome realistic picture! Thanks for sharing and good luck with your education! It is good to question things, but it is also imperative to enjoy everything that is at your disposal! There is no point in treating parts of your life wastefully; everything truly holds a meaning, in the larger perspective. fascinating, thank you. I really appreciate writing with a sense of place – particularly as the corporate world is trying so hard to erode the specifics of place into a same same world that is just – nowhere! Great post! And good luck. I often noticed as I wandered in developing nations that an attention of geographical details can reveal a lot about a society. For example, are the major roads straight? These indicate societies that seek to dominate nature – bridge the river, tunnel through the mountain, remove the obstacles in a push to get from here to there by the shortest route. Major highways that meander with the landscape can indicate a society less insistent on change as a value. Are the roads paved? not paved? A society’s ability to move earth is a critical skill. Low earth moving skills can mean difficulty with irrigation since dams can’t be easily built to store water. Hence, the society may live in food jeopardy since agriculture is low yield. These are large generalizations, but my point is that noticing a society’s relationship with its geography gives clues that can be followed up on. Somehow it wouldn’t be surprising in North America, many of us define part of our cultural/national identity by our land topography. There’s way more wilderness, isolation compared to many countries in Europe. Our vast stretches of land, wildly contrasting climatic regions and Mother Nature controlling the speed in which we can travel over vast distances, how fast/slow we can develop/cultivate our land (or destroy it thoughtlessly). I really enjoyed this post. It’s so strange and weirdly comforting how so many writers (at some point) feel insecure about actually calling themselves writers. It makes me feel a sort of kinship I’ve only otherwise found in the running community. The fact that this blogger writes about nature and geography is just icing on the cake. wow, i love the way you write. I agree with so much of this. wonderful. This is an inspiring post! It’s nice to know that your field is interdisciplinary in a sense that anyone from other fields may love it. A well written and very enjoyable post. A sense of place gives roots and roots give stability in our ever changing world. Good luck with the PHD. I think the reason I enjoyed reading it so much is because it’s so honest, nice one. You seem to have found your space. It feels like your own Inner Space where you are feeling your way & getting into. It’s great because when you get comfortable with it you can take pleasure in taking it with you. One of the nicest things in life is learning to be comfortable with yourself. And one of the most amazing facts of life that really knocked me sideways was when I realised most people are not Social by definition or nature[Not all the time]. Until then I had thought I was a ‘Peculiarity'(there are stronger words that good be used for this). I think it’s great because it sounds like your inner space &your external space(Geography) are synching closer to one another. You sound like you’re on the right path for You. Enjoy.